By just about any standard, Juan-Carlos Cruz is a success story. After landing a job cooking for celebrities at the swanky Hotel Bel Air, he gained notoriety by losing 43 pounds while participating in a televised program on The Discovery Health Channel. This led to several hosting gigs on The Food Network including the series Calorie Commando and Take It Off where he focused on sustaining weight loss through lower calorie intake. 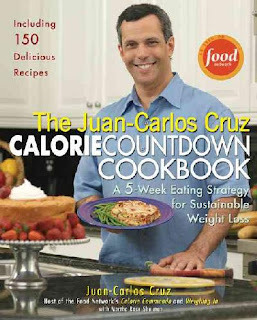 He would later release an unnecessarily over-titled eating guide called "The Juan-Carlos Cruz Calorie Countdown Cookbook: A 5-Week Eating Strategy for Sustainable Weight Loss." All seemed to be going well for Juan, but apparently there was trouble brewing at the homestead between he and his beloved wife Jennifer. Perhaps it was his newfound culinary notoriety that came between them or maybe she had become emotionally distant, but whatever the reason Juan felt the chasm that had appeared between them had only one clear solution: outsourced homicide. While Juan had tasted success over the past decade, his contract with the Food Network had not been renewed and he found himself unable to allocate the financial resources he would need to hire a reputable hit-man. Never one to give up easily, Juan took a stroll down the Third Street Prominade in Santa Monica, California to locate a more “budget conscious” criminal. After walking for a few hours, Cruz approached a homeless man known as “Little Dave” and offered him compensation in exchange for making sure his wife was introduced to the "big sleep." This being his first entrepreneurial murder, “Little Dave” felt that it would be prudent to involve his associate “Big Dave” in order to plan the slaying. Once Cruz agreed to make it a duo, “Big Dave” felt that the operation would greatly benefit from the expertise of another homeless man and soon the three men were plotting their next move. Taking a cue from “Big Dave,” the Santa Monica police launched an undercover investigation of the Calorie Commando and last Thursday he was arrested for solicitation of murder. As of this writing the trial date has not been set. 2. I think the only thing more insulting than finding out your husband wants you dead is realizing that he was not willing to pay full retail price for it. I mean how financially stingy does your offer have to be for a man sleeping on a park bench to call you “cheap?” Did Cruz suggest 2 Cherry Pepsi’s and copy of the Grease 2 soundtrack as compensation? 3. Why would anyone assume that a chronically homeless man who identifies himself as “Little Dave” possessed the devious cunning and moral depravity necessary to successfully commit homicide while avoiding detection? Perhaps Mr. Cruz was under the impression that all of California’s homeless receive special vocational training in the area of assassination. Also, just because someone is poor does not mean they have no opposition to homicide. For his part, Juan has pleaded not guilty to all charges and his lawyer has indicated that it was all a misunderstanding. Hopefully they are cooking up something good….